Hmmmm. I'm not sure I should admit to this, but I find 5 syllable sentences very satisfying. Multiples of five are also pleasing. 'Jamie Oliver's Food Revolution' for example, is one of my favourite shows - mainly because of its delightful 10 syllable title. My friends generally call me Catherine, Cathy or Cath and occasionally Cate or Cat. My husband calls me Poppy (which is quite embarrassing when written down like that) and my kids call me Mummy-boo, which makes me very happy. When I couldn’t sleep as a child, I would imagine the floor was hot porridge and I would boil to death if I touched it. These days, I wrestle with a similar sense of dread whenever one of my children has a fever. Fast-paced, action-packed and full of slimy frog jokes. Dedicated. Passionate. Imaginative. Funny. Persistent. I would be Hermione Granger because she is super smart, reads loads of books, has awesome adventures and gets to ride a broomstick. I would go back to 1831 so I could meet Charles Darwin and go exploring the Galapagos Islands with him. Wow! You wrote a book. That is SO cool! But what took you so long? As a writer, I often think of reading as a sort of research, a way of seeing how others have done it. I’ve learned something from every book I’ve ever read, but I particularly admire the work of Morris Gleitzman, Wendy Orr, Roald Dahl and David Almond. Writing has always been my all-time favourite thing. I wrote stories and fantasized about being an author when I was seven years old. But as I grew older, I got busy with other things. When I had children of my own however, I wanted to show them it's important to chase your dreams, no matter how old you are. So even though I was afraid I had left it too late, I decided to follow my childhood dream and start writing again. I've never looked back. My favourite word is FROG because it has an 'OG' sound in it, and it describes a slimy animal that eats flies with its tongue. This question is impossible to answer. I can't imagine life without a pile of unread books just waiting for me to dive into them. 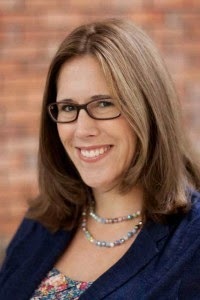 Catherine Carvell is an Australian Children’s author living in Singapore. 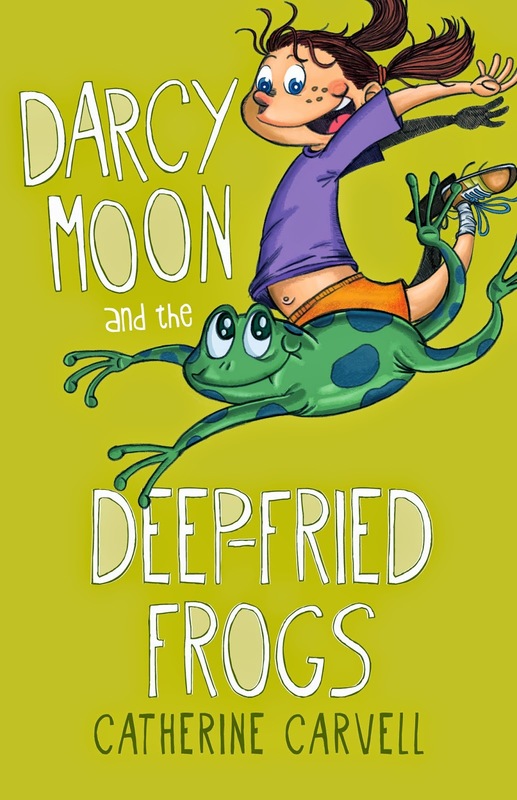 Her first novel, Darcy Moon and the Deep Fried Frogs was published by Fremantle Press in March 2014. You can find out more about this book at the Darcy Moon website. Visit Catherine’s website and Facebook page to keep up-to-date with news about her writing and author events.